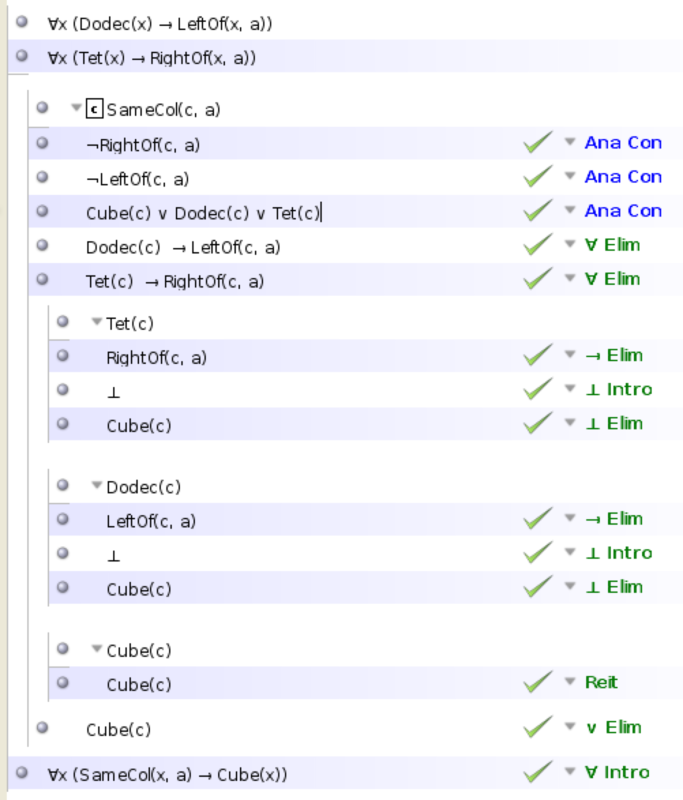 […] give a proof that uses Ana Con but only where the premises and conclusions of the citation are literals (including ⊥). You may use Taut Con but do not use FO Con in any of the proofs. However, I can't think of any other way to prove this that would make the program happy. What other methods could I try? These are the rules you need to cite, ignore my comment, a disjunction introduction is not necessary. I was thinking it was of the form A V B not A ^ B.